Above is the IMAX poster for Disney's John Carter. The Andrew Stanton-directed film stars Taylor Kitsch, Lynn Collins, Samantha Morton, Mark Strong, Ciaran Hinds, Dominic West, James Purefoy, Daryl Sabara, Polly Walker, Bryan Cranston, Thomas Hayden Church and Willem Dafoe. Also below are two TV spots for the film. 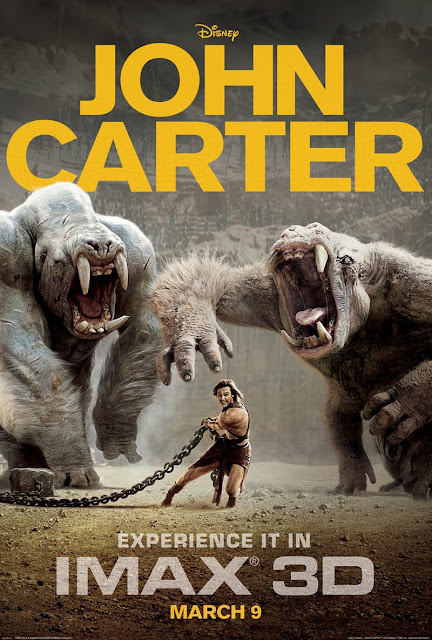 'John Carter' opens in 3D, 2D and IMAX 3D theaters on March 9.